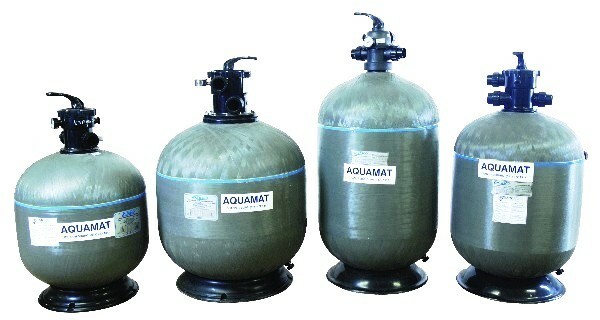 The Aquamat Water Filtration Vessels are suitable to be used with all media generally utilised in the filtration process, such as Silica Filter Sand, Turbidex, BIRM, Activated Carbon, Anthracite and Garnet. Certain units are fitted with multiport valves which have fittings of 1½ inch to 4 inch. These multiport valves are however available separately.